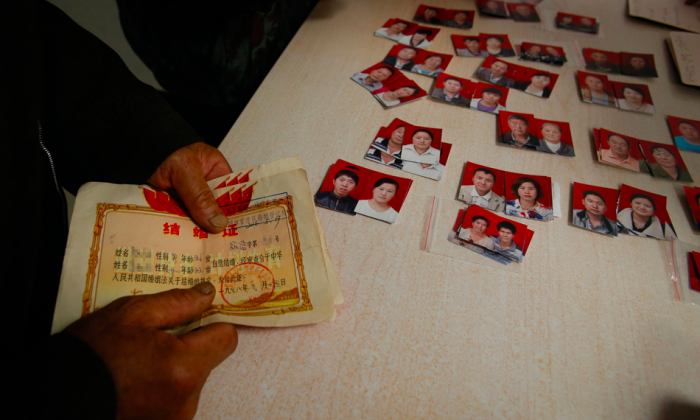 On May 19, the 79-year-old Mr. Yuan, along with his two sons, of southwest China, filed their applications for divorce with the local authorities. There is, however, some solace in this humiliation: almost everyone in the village is also getting divorced, and they’re doing it in a collective last-ditch attempt to get fair compensation for the imminent demolition of their community. The rationale for divorces hinges on the fact that compensation is given to households, not individuals. By splitting their families, the villagers hope to leverage more cash out of the compulsory deal. While it is not known how much the residents are to be compensated for having their homes unceremoniously torn down and being evicted, villagers are incensed. Located in rural Yunnan Province, the village of Daocao’ao, home to some 1,300 people, has been slated to be torn down to make way for the construction of an industrial park, the Chuncheng Evening News reported May 20. Notices were printed and distributed starting may 13, warning residents that the demolitions would be complete in 45 days’ time. But even divorce may not be able to get the villagers the compensation they’re looking for: the demolition notice provided a disclaimer prohibiting the division of households within the announced timeframe. But the residents of Dacao’ao are willing to give it a try. “We know that there is no policy of forbidding household division at higher levels of authority (Kunming City, the municipality where Dacao’ao is located), this is just local policy,” said a villager who was not named by the media.